Best practices for New Product Introduction process have been in existence for nearly 3 decades now. Since inception a number of organisations have adopted these best practices to launch successful new products. Adopting best practices in new product introduction within supply chain provides confidence for the customer to partner on new programme developments and in turn provides growth opportunities for an organisation. Is our NPI process aligned with our strategic objectives? What improvements need to be made and what are the priorities given the resources available? 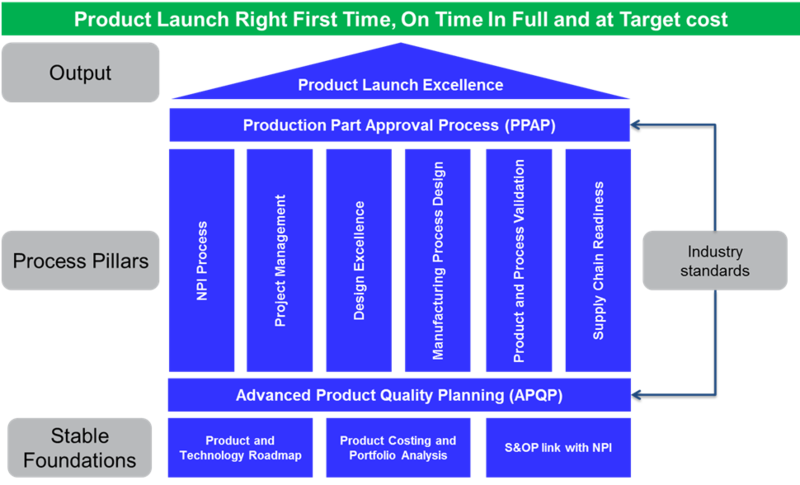 Industry Forum has developed an effectiveness assessment for new product launch. The assessment combines the current state process mapping approach following Lean principles and a technical assessment considering the best practice criteria to launch new products. A facilitated approach is taken to build consensus in the team on how far the best practice needs to be implemented considering the needs of business.